Last week I shared with you one of my favourite snacks of the moment – banana and peanut butter cookies. My heart rests content knowing that there is batch of them sitting frozen in my freezer waiting for that perfect snack attack moment. But I don’t intend on being monogamous with my snacking partner the rest of my life (thats saved for the man of my dreams) as it is so important to let variety spread into your whole diet which is why I like to give your lots of recipe ideas. Unless you are blind or never leave the house you will have noticed that most shops are selling cute little bars called nak’d bars that are nuts and fruit ‘smooshed together ‘ . They are natural, tasty and have a happy and normal looking ingredient list. Winner. They are perfect for a snack in the go and on days when you have nothing to grab other than the odd 6 month old cashew that’s been rolling round gathering dust. The down side is that they are pricey, at just under a £1 a pop they are not exactly frugal food. Now I am all about investing in good foods and supplement, as I see it as a life long investment, but I hardly think smooshed nuts and fruit is a need?! So I created my own. Before I set off to the the big apple ( check out my Instagram for my daily photo update) I made a batch to be my travel companion and they were a success and super simple. I wrapped mine in foil as they are a bit stickier that the shop bought ones and it makes it look more official (or slightly dubious…?) . Ohh and if you want some more awesome healthy snack recipes then join my tribe to get my fortnightly newsletter AND get a free recipe eGuide. I entirely copied this recipe from the ingredients of the chocolate orange version of bar so it’s hardly an original recipe! But enjoy these will fill you up and give you a natural energy boost. 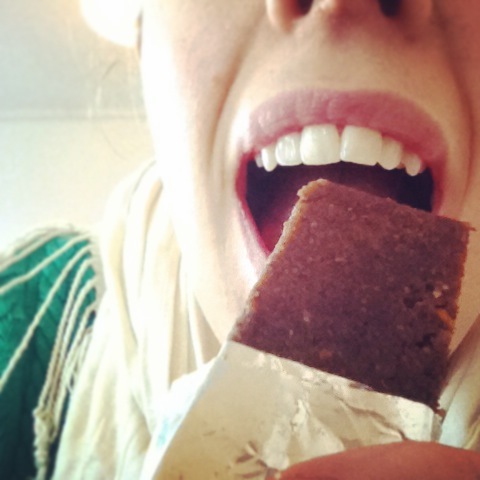 The budget way to enjoy nak'd bars! Soak the almonds in water for 4-6 hours then drain Then simply place all ingredients in a food processor and blend until smooth. Spread the sticky mixture onto some greaseproof paper and shape into a long rectangular shape so you can cut bars from it. Squish it down and make sure it compact. 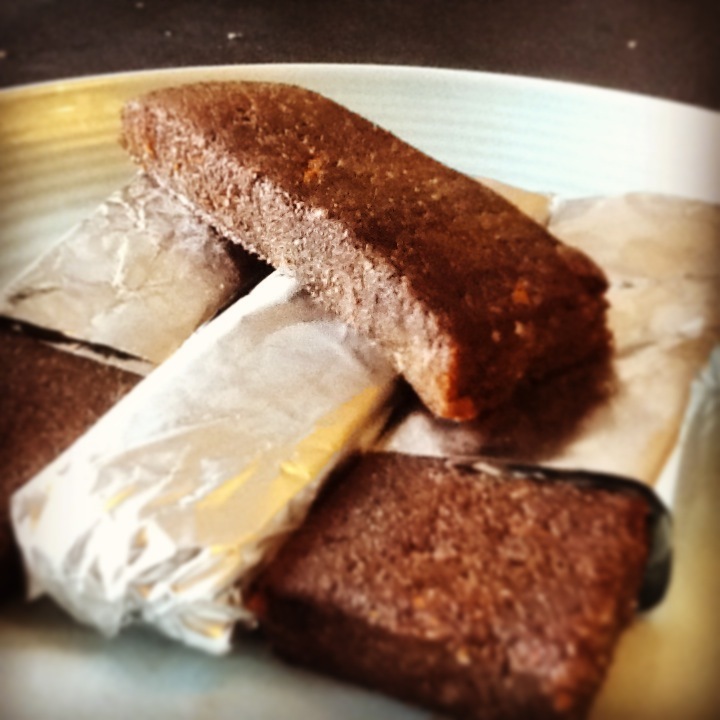 Place in fridge for 30 mins, then use a sharp knife to cut into bar shapes. Wrap in cling film or foil and store in fridge. Feel free to use dates instead or experiment with other dried fruit. These would also be great rolled into small balls to create a smaller 'bite' snack. What’s your go to shop snack?